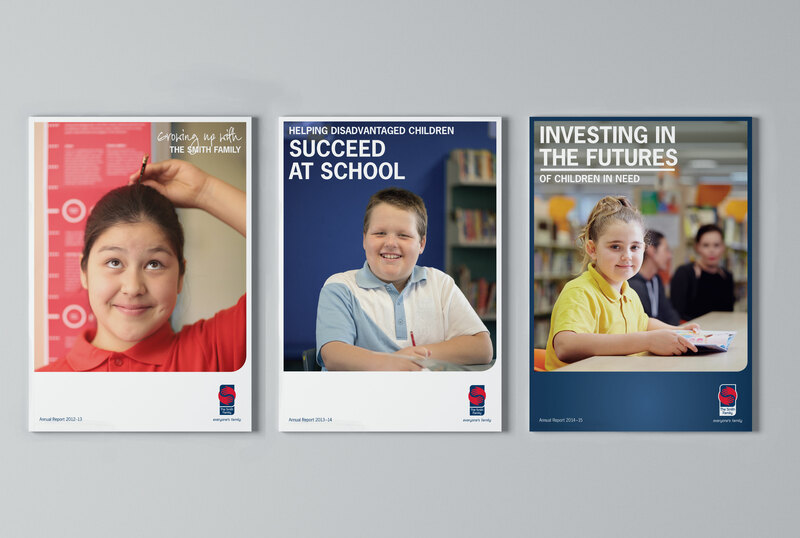 This is the third annual report that Wills have worked on, in collaboration with The Smith Family. 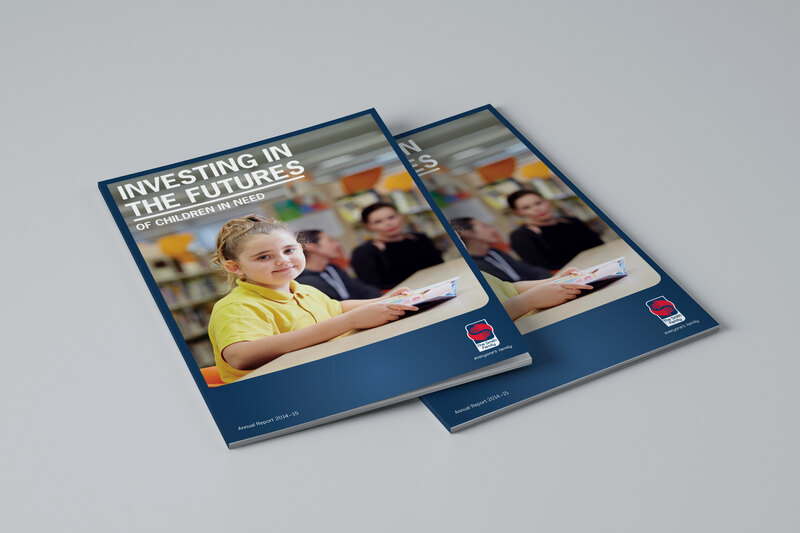 As with previous reports, it was vital to communicate where The Smith Family’s funding comes from, how effectively it is applied, and the tangible results achieved for disadvantaged young Australians. The report profiles The Smith Family’s programs and provides evidence of the programs success. As with previous reports, the challenge was to tell their annual story in an informative and engaging way. 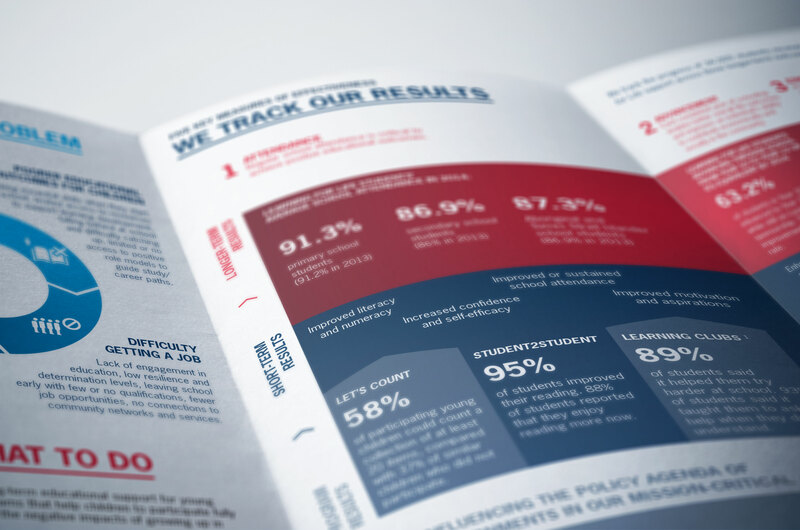 Alongside the written review of operations, 28 student case studies and a significant amount of program data needed to be displayed throughout. 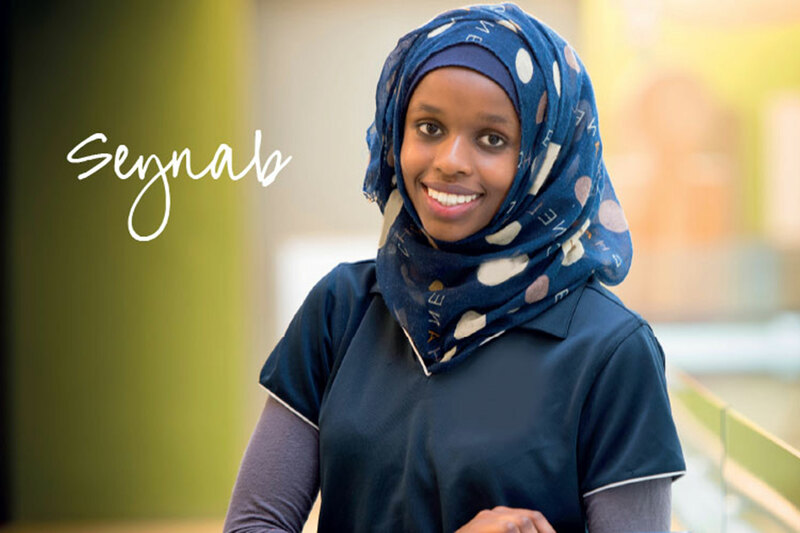 Although having similar content to previous reports, the design of the 2014-15 report was refreshed considerably. Big, bold typography provided impact to key messaging and improved navigation in the 68 page document. 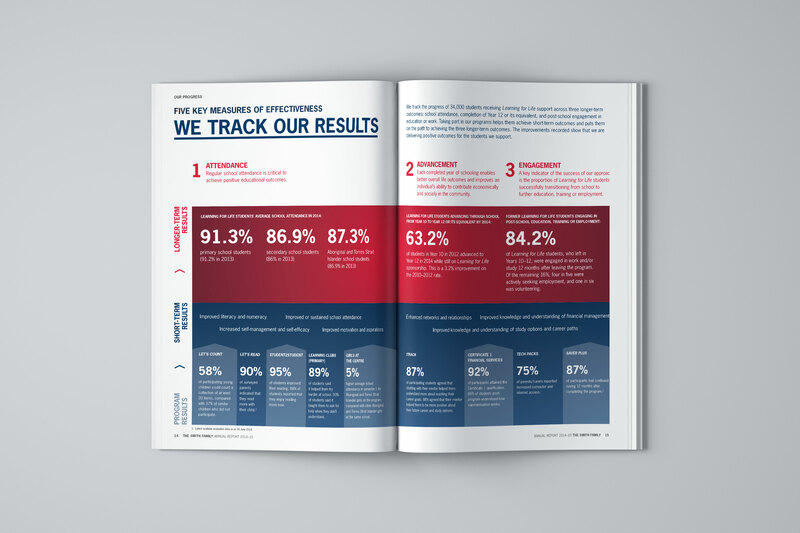 A series of double-page spread infographics were completely reimagined and developed, which were then animated for the Annual General Meeting presentation.